I do read a few books. There are books in my office and residence and the way I read them is completely spontaneous. I wish I had the time to just sit and read and do nothing else for a few weeks sometime. But the whole purpose of reading to me is to see if I can apply the learning in my own life. Specially the kind of books I find myself reading lately, self-help, biographies and mostly spiritual books. I cannot read fiction , I just can’t. After having read some self-help books I found a redundant pattern in them , thus I decided to change course and found YOUR BRAIN AT WORK. This is not your regular experience based self help book. It actually is based on complete Science. Neuro-Science. And it gives you both the low down on what the science is and explains the science for a layman, like myself. Believe it or not I took 6 months to finish this book. Not because I am a slow reader but I put it down and away for several weeks at a time. For example, after reading the first three chapters , I wanted to see what I have gathered from the book in real life. Can I catch myself doing things subconsciously like the book describes. Can I be a witness to my own thoughts and alter courses of action or really control or deviate an emotion from engulfing me. I had to take long gaps between chapters to see how the insights i have gained from the book present itself in real life. Once I noticed what has been taught happening in real life. I would be excited to go find the book again and start deep diving in it again. I have practiced mindfulness. 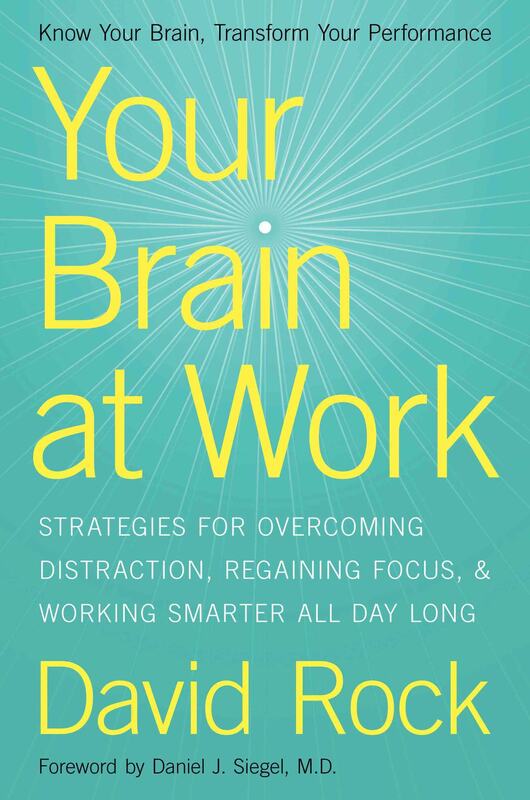 But what this book does is explain the science behind how to be mindful. It explains the capacities , mechanics and paths of everyday brain activities. Once you are able to recognize these patterns you have now , choice. Choice to alter the course, stay putt or reanalyze. In short, read this book , specially the young-insta-gratification generation. I read this at 36 and I think I will remember this one for a while, imagine what will happen if a 19 year old today actually reads and understands this at 19 and implies it to day to day practice.